Cheerful Weather for the Wedding (mixed bag): This British period drama is extremely reminiscent of “Downton Abbey,” so fans of that show might enjoy a brief look at forbidden love. 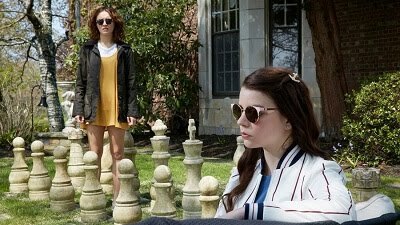 Its central performers are good, and the movie is decently enchanting while it lasts. Now playing at the IFC Center in NYC and next Friday in LA. My review will be up tomorrow. 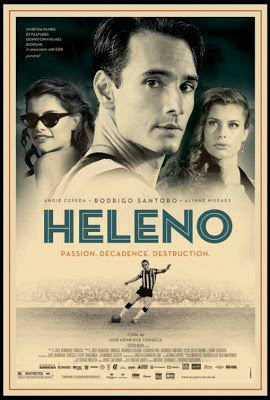 Heleno (recommended): This black-and-white chronicle of famed temperamental Brazilian footballer Heleno de Freitas is a compelling, melancholy tale of a man undone by his ego. Rodrigo Santoro delivers a strong lead performance as the title character. Now playing at the Regal Union Square in NYC. Read my review from yesterday. Wagner and Me (mixed bag): This documentary features British actor Stephen Fry, a lifelong fan of composer Richard Wagner, singing the praises of the famous musician while trying to reconcile his documented anti-Semitic leanings. It works much better as a tribute to the composer than as an analysis of his character. Now playing at the Quad Cinema and Film Society Lincoln Center in NYC. My review will be up tomorrow. 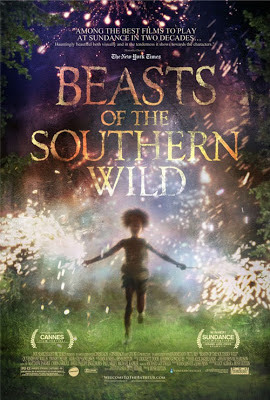 Beasts of the Southern Wild (highly recommended): This magnificent independent release is a stunning and wholly original story, featuring astonishing performances from first-time actors Quvenzhané Wallis and Dwight Henry and a truly wonderful spirit and energy. Watch it right away! The Dark Knight Rises (highly recommended): I was delighted to find that this third entry in Christopher Nolan’s Batman trilogy is by far the best, a triumphantly exciting and satisfying final chapter to the saga. You’ve probably seen it already, but if not, don’t miss it. Hope Springs (mixed bag): This summer comedy with veterans Meryl Streep and Tommy Lee Jones as a couple that has lost its spark is disappointing considering the talent involved and its comedic potential. It’s not terrible, but it could have been a lot better. Happy-Go-Lucky (highly recommended): This wonderful 2008 entry from Mike Leigh is a sparkling showcase of energy from its lead performer, Sally Hawkins, who delivers a spectacular performance opposite Eddie Marsan’s terrifically moody driving instructor. It’s a delightful and creative treat. Identity (highly recommended): This 2003 thriller is marvelously suspenseful and very well-plotted, featuring a handful of actors, including John Cusack, Ray Liotta, Amanda Peet, and John Hawkes, in a superbly enthralling and frightening situation. It’s much more competent than might be expected of a film in this genre.